The MedicineWay apprenticeship program is dedicated to those who really want to be present in their walk and open the path of a healer. I welcome you to open your heart to the old medicine, learn from a lineage of Maya, Andean, Toltec healers and become the new curanderos & curanderas (healers) of this time. This MedicineWay program opened in the year 2012, it has continued yearly. What you will take from this program is an inner awakening to your natural gifts and also those skills that can also be learned and practiced. You will learn how to do Limipa's "cleansings" and practice intuitive reading used for diagnostics, practice soul retrieval & lots of self work. There are many levels of healing to be explored and exercises on self-empowerment, self protection and much more. 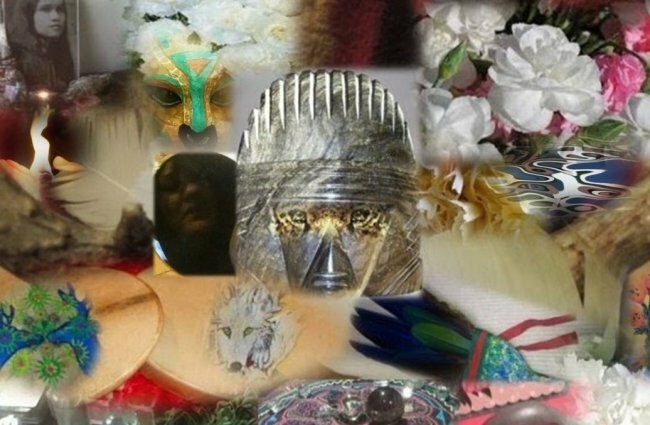 You will be working with many shamanic tools to help guide you to work with clients, from feathers, plants, crystals, stones, your drum, rattles, and more. (If you don't own any shamanic tools, I will provide some for class use). Class is limited to 12 people, this 1 year program will meet on each First Saturday of the month starting on September 27th from 12 pm/noon - 3 pm. (Listed below are the dates listed for the one-year program. Our monthly meetup will be a (3 hr class), there must be commitment to take the year course and complete all healing assignments. When we reach the completion you will receive a medicine name that you can carry as a Spiritual Medicine Name or add to your Medicine Name. I have enclosed the cost, rates, payment-plans, dates and testimonials from past apprenticeship class below, feel free to review them so you can get a sense of the work being taught & practice from another perspective. After the registration fee is paid the balance may be paid as a 3 month plan ($994.00) split within 3 payments $314.67 due the months of Nov., Feb., and ending with May. Important: If you miss a class a make-up classes is an additional cost of $175 for a two-hour session. (*Note only 3 makeup classes allowed). speak to me about payments and we can come to some sort of agreement. at SFR Soul Haven, 56 West 45th Street, Suite 1703, Midtown, Manhattan. June 6th & July 6. Initiation will take place if all assignments and all classes have be done completed and written as emails to me. Initiation will be on Aug. 30th, 2020 at 103 Central Park West. I thank all the students for being able to express how they feel and the love that is shared between us including those who still are working on completing the program this year. 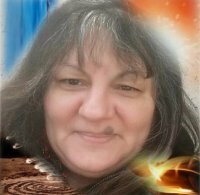 About Irma "StarSpirit Turtle Woman"
Following the tradition of her linage of Mayan Curanderas and Medicine Elders, Irma StarSpirit Turtle Woman is a MedicineWay (Shamanic) & Crystal Teacher and Karuna Reiki Master, Toltec Dreamworker & Ordained Minister. Irma StarSpirit Woman, is an energy healer in the Mayan/Toltec tradition, using music, sound, crystals and working with plant medicine, and assisting as a dream guide. Having accepted gifts from early on, StarSpirit Turtle Woman had lucid dreams, animal totems and intuitive gifts blossoming by the age of 3. Irma StarSpirit Turtle Woman worked closely with plants and nature healing small animals and birds as her gifts developed during adolescence. Although her connection to nature, plant medicine, dreams and visions deepened there was a sense of compassion for families and children in abusive situations that began to lead her towards re-connecting people and mending their spirit with their heart path and aiding them by bringing them into balance and wholeness. Her exploration of shamanic medicine and healing took her to collect wisdom from her teachers and mentors from Mexico, Peru, Brazil, Ecuador, and deeper into North American with Dine, Cherokee. Hopi & Lakota Elders. Irma served 19 years as a Core-member of the NY Shamanic Circle and the Co-Founder of the NY Shamanic Healing Circle. She continues to do community work for NYC as a Co-Founder of Shamanic Fire Reiki, LLC at Soul Haven 56 West 45th St. Suite 1703, Midtown, Manhattan.